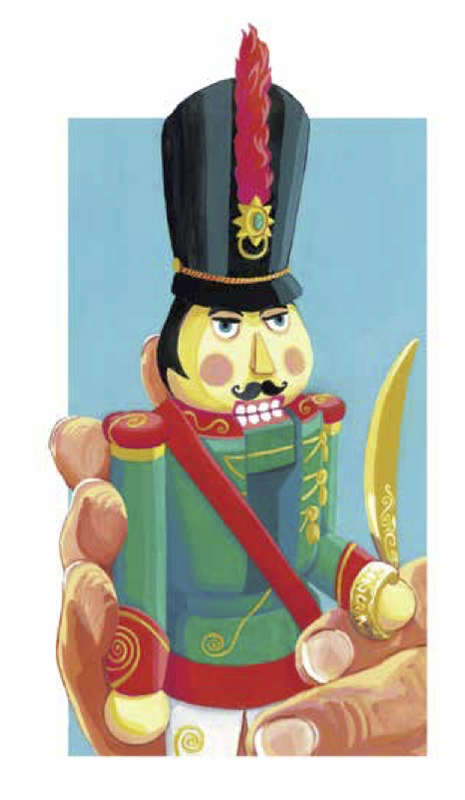 Clara’s Gifts: A retelling of the Nutcracker story is a gorgeously illustrated picture book that tells the unique Nutcracker story adapted for the stage by Leica Hardy and Graham Whitehead and presented annually since 1991 by Symphony Nova Scotia in partnership with Halifax Dance and Mermaid Theatre of Nova Scotia under the artistic leadership of choreographer Leica Hardy. The lush illustrations by Emma van Zeumeren capture the magic, movement, and Art Nouveau-inspired design of the beloved stage production and perfectly complement the enchanting story, as told by co-authors Marianne Ward and Leica Hardy, of Clara’s overnight journey from timid, fearful girl to confident young woman, thanks to the gifts of kindness, loyalty, friendship, and a very special nutcracker. The 52-page hardcover keepsake book, priced at $25.00 CA ($26.25 CA tax included) is now available. For shipping outside of the Greater Halifax area please see our Order Form. 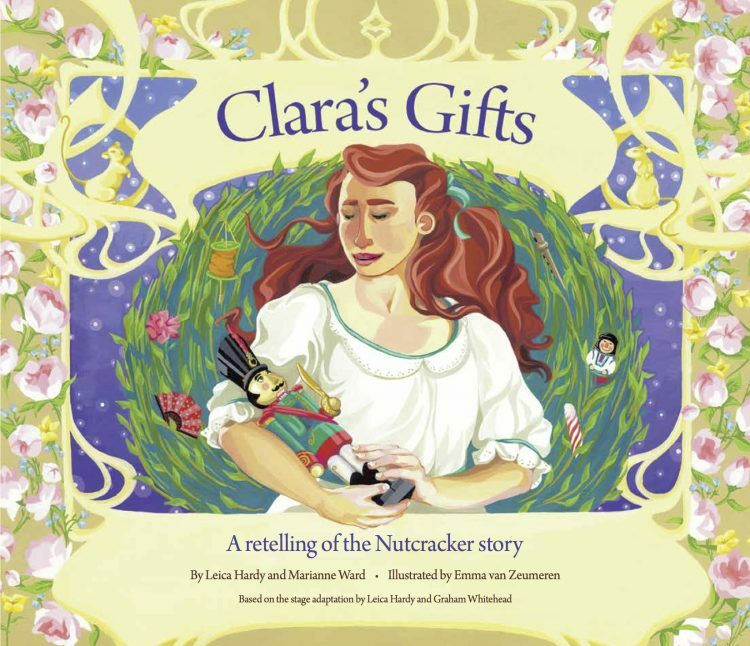 Please ‘like’ our Facebook page or visit the News page of the website to stay up to date about Clara’s Gifts book readings and retail locations. Payment may be made with cash (exact change only), cheque payable to Leica Hardy School of Dance, or e-transfer to info@leicahardyschoolofdance.com. Pick-up or delivery available within the Greater Halifax area. Shipping is available to locations outside Halifax, at the expense of the purchaser. 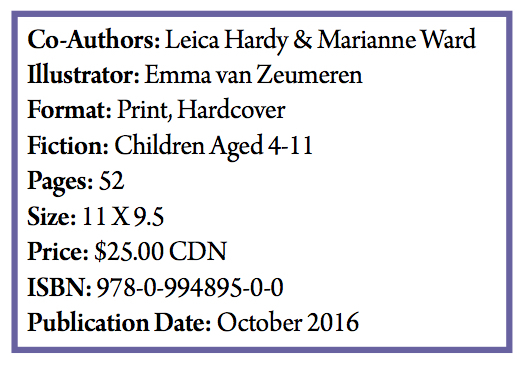 Currently studying for her Bachelor of Fine Arts at NSCAD University in Halifax, Emma is delighted to have been given the opportunity to illustrate her first book. Three of her films won Best Animation in the AFF ViewFinders competition, also garnering the grand prize and the People’s Choice award. Her most recent animated film, The Wind in a Frolic, was screened at the 2013 Atlantic Film Festival. Emma was a long-time dance student of Leica Hardy’s and is an alumnus of The Nutcracker. After performing in the production for seven years, Emma has a special place in her heart for this beautiful adaptation and hopes that her artwork reflects that. With a background in illustration from Sheridan College in Ontario, Jodie Hansen is Senior Graphic Designer at Trampoline in Halifax, Nova Scotia, where she has worked for over 20 years. She also explores her creative talents within crafts and design, making and selling handcrafted cards among other items throughout Nova Scotia and Ontario. Jodie is no stranger to the dance community; her children Amanda and Emma started dancing at the Maritime Dance Academy at the age of four, and Amanda is still dancing.